There was obviously a launching ramp for boats at that time which there isn’t now. A Tony Fleming pic on the Old Wellington Region FB page. 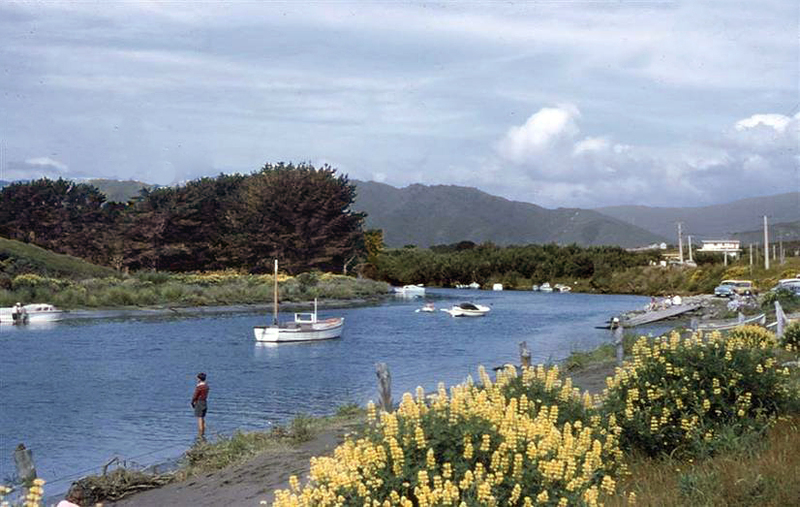 The Launching ramp is still there administered by the Otaihanga Boating club, the backwater goes in just before it in the picture.